What, then—if anything—pushes people toward greater honesty? There's a joke about a man who loses his bike outside his synagogue and goes to his rabbi for advice. "Next week come to services, sit in the front row," the rabbi tells the man, "and when we recite the Ten Commandments, turn around and look at the people behind you. When we get to 'Thou shalt not steal,' see who can't look you in the eyes. That's your guy." After the next service, the rabbi is curious to learn whether his advice panned out. "So, did it work?" he asks the man. "Like a charm," the man answers. "The moment we got to 'Thou shalt not commit adultery,' I remembered where I left my bike." What this little joke suggests is that simply being reminded of moral codes has a significant effect on how we view our own behavior. Inspired by the thought, my colleagues and I ran an experiment at the University of California, Los Angeles. We took a group of 450 participants, split them into two groups and set them loose on our usual matrix task. We asked half of them to recall the Ten Commandments and the other half to recall 10 books that they had read in high school. Among the group who recalled the 10 books, we saw the typical widespread but moderate cheating. 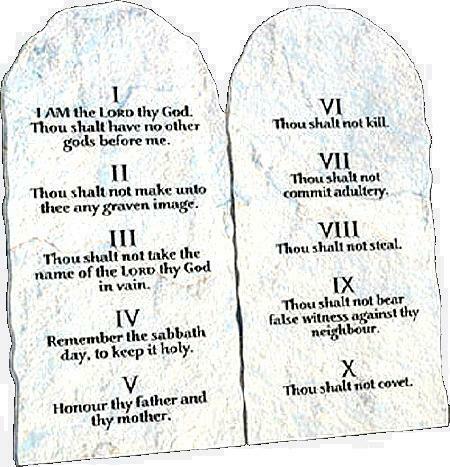 But in the group that was asked to recall the Ten Commandments, we observed no cheating whatsoever. 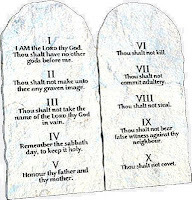 We reran the experiment, reminding students of their schools' honor codes instead of the Ten Commandments, and we got the same result. We even reran the experiment on a group of self-declared atheists, asking them to swear on a Bible, and got the same no-cheating results yet again.